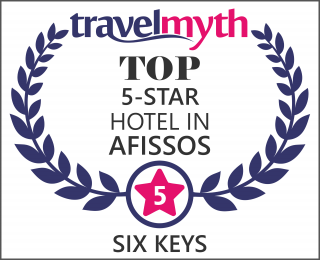 Just a few kilometers from the town of Volos and only 500 meters from the village Afissos hotel “6 keys” lies in the breathtaking Kalifteri beach. Pelion stands impressive at the back side of the building as the blue green waters of the sea end a few meters from the surrounding. fence of the rooms. This unique experience of total balance between the mountain and the sea makes the destination more worthy than the journey itself.